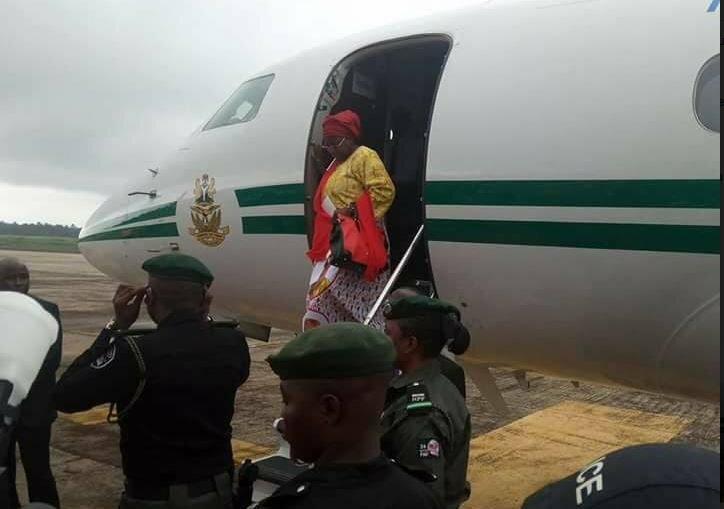 Mrs. Buhari, upon her return, headed to Owerri to grace the 2017 August meeting hosted by women in the state. 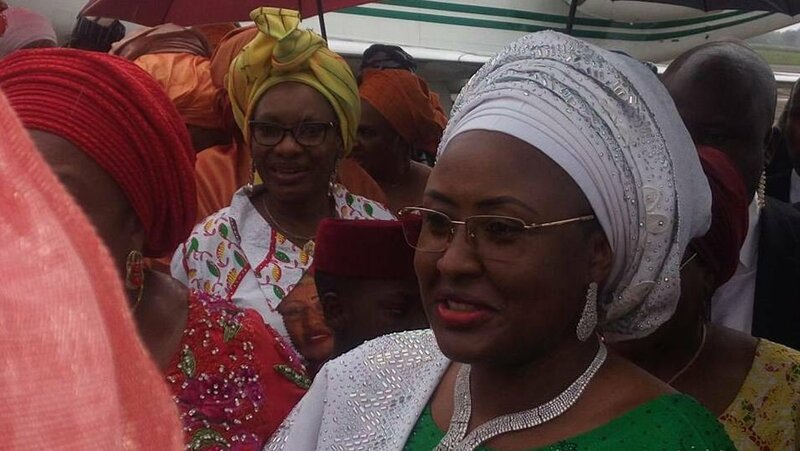 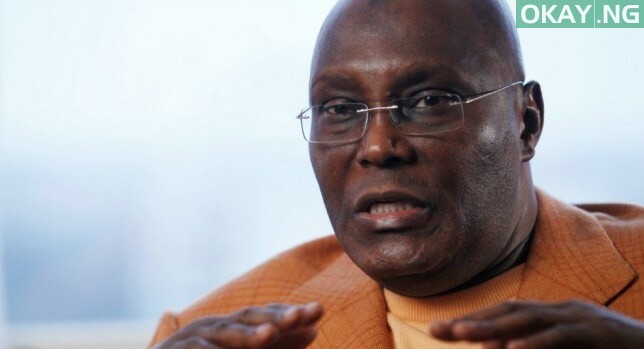 Aisha Buhari, wife of Nigeria’s President, Muhammadu Buhari, has returned from London where she went to visit her ailing husband who is on a second medical vacation this year. 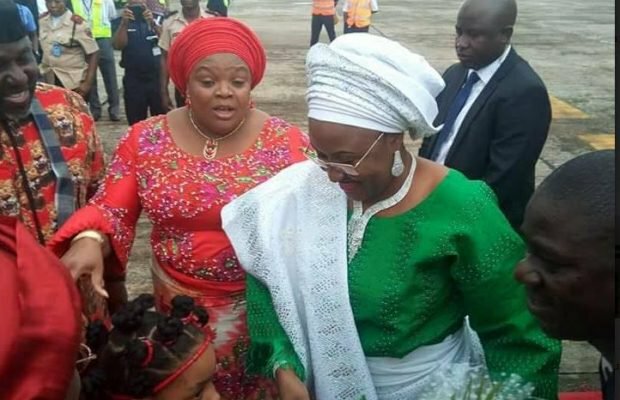 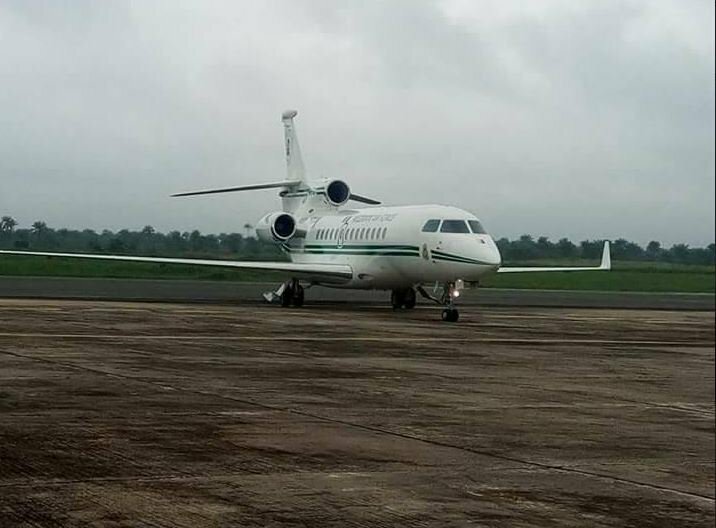 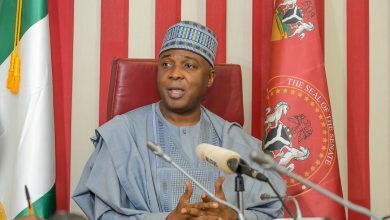 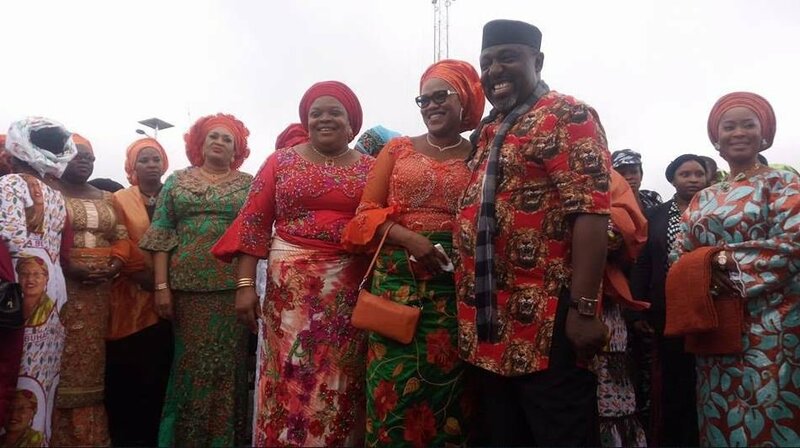 She was welcomed at the Sam Mbakwe Cargo International Airport in Owerri,the State capital by the state governor, Rochas Okorocha; his wife, Nneoma Okorocha; wives of Nigerian governors and other government officials.